Gilbane transformed this historic landmark building into a modern work space for Duke University that draws in the industrial history of the city. Gilbane provided Construction Management at-Risk services for the renovation of the historic Powerhouse. 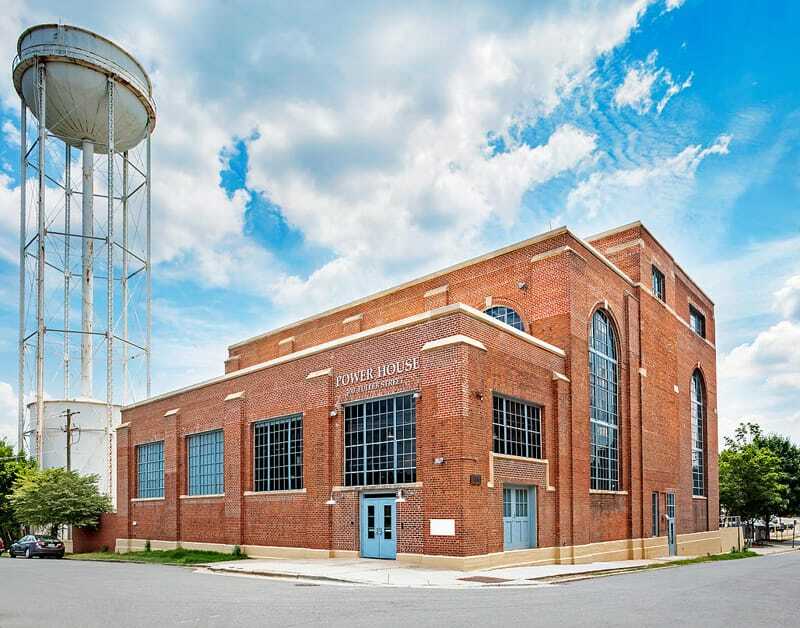 The Powerhouse, located in Downtown Durham’s West Village, was originally constructed back in 1926 to provide electricity for the Liggett & Myers Tobacco Company operations. 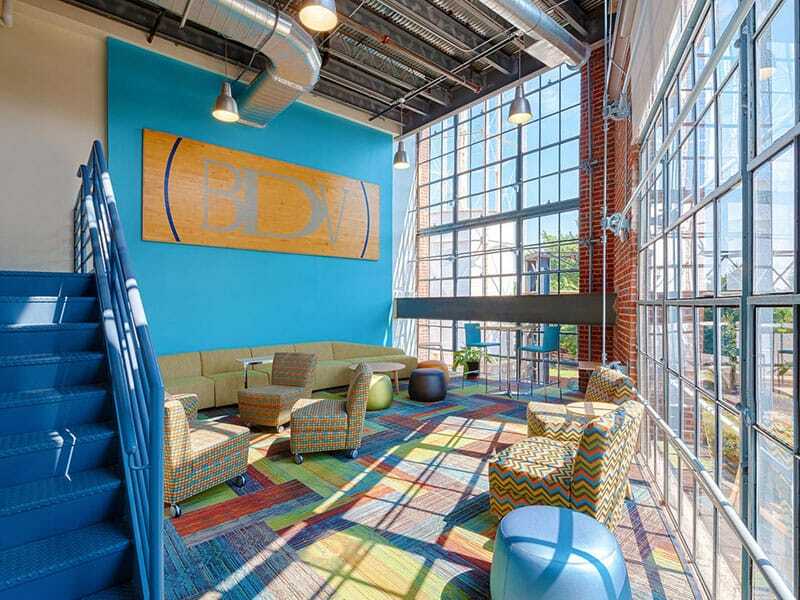 Today it houses a vibrant environment for Duke University’s Talent Identification Program. Scope of work on the 5-story tenant fit-out included renovations, minor site work and building envelope upgrades totaling 26,000 square feet. The project involved a complete renovation to the interior and exterior of this 90 year old historical landmark. This project is part of the overall University Facilities Master Plan. The new design elements harken to the industrial past with exposed mechanical system. Workspaces were designed to include small meeting areas. The second floor offers a large, open collaboration area with expansive windows. New structural floors were inserted in the large volumes that housed the generators and turbines, but were held back from the outside wall to preserve the vast sense of space. Enclosed offices were given glass fronts and located in the interior to allow light to penetrate the open office areas.